This time of year, we turn to things that inspire, that make us feel and believe in the holiday magic. I have written a blog on miraculous happenings for my publishing house to bring the focus back to the true meaning of the season; meaning we can’t find in the long lines at the mall on Black Friday. I call the blog, “I Choose to Believe”- because of the feeling I get this time of year that reminds me of heavenly beings-specifically guardian angels. Have you ever had something happen you couldn’t quite explain? Had someone protect you when you didn’t know you needed it? Tune into solsticepublishing.com website for my blogs on miracles in everyday life and share with me in the comments here if you have had something similar happen. If you are a reader- find me on goodreads.com and let’s share reads! I am always looking for that next big book to draw me in. And watch in January for sales on my books Linked Through Time and Lost Through Time, with the 3rd and final of the trilogy coming soon! Have a wonderful holiday season! Eden Arik was a typical teenager who lived the typical teenage life…until the pale eyes showed up in her dreams. The birthmark, Eden had always ignored, burned at the new nightmares, raising questions about her past. Eden finds out she is part witch and fairy that is destined to save a world she never knew existed that inhabits people far more than human. Her only solitude is the woods behind her house where she meets a mysterious stranger with steel eyes. With the help of her guardians, two unlikely shape shifters, and a vampire who can bring her to her knees with one glance, Eden goes on to search the secrets of her past, present, and future. Along her way to discovery, Eden comes across Circenn; her grandmother, consort to the Darkness and the evil magic he possess. Circenn will stop at nothing to bring Eden to the darkness so she can harness her granddaughter’s limitless power. Seduction, power, and death pave the way towards Eden’s destiny and the fate of Ellethny. Hi everyone! This is D.M. Sears, author of Eden’s Mark, and I have been trying desperately to interview some of the characters from the book. Unfortunately, they are off trying to save their world and cannot come in for a formal interview. Not to fear! I sent along some questions and they have sent me a letter answering them for us. Good day everyone. For those of you that do not know me, my name is Eden Lanae Knightly. I live in Ellethny with my husband Gregor, my aunt and uncle, Lexington and Valora, and two friends of ours who happen to be shape shifters, Koren and Maiya. I lived a normal life, just like you; until I found out I was chosen to save another world I didn’t even know existed. My family and friends help me every day to defeat Circenn and Darkness from destroying Ellethny. I received a letter asking if we could do an interview, that won’t be happening, not with shadow attacks. So, we have all collaborated and answered a few questions that D.M. Sears sent us. Question One: How is married life treating you? Eden : Married life is wonderful, when we aren’t being chased by Circenn or being attacked by her Wielders and shadows. Gregor makes me very happy and hopefully I do the same for him as well. Gregor: You do my heart, everyday. Question Two: How do you feel about Circenn being your grandmother? Eden: I have to say that she beyond cray. I mean, who in their right mind would destroy their family for power? Smh. Back to the question, it is a little scary to know she has no respect for family, love, or a stable mental state. It bothers me, but I know I am nothing like her. If anything, she has made me even more determined to stop her. Question Three: How is it knowing you are the savior of Ellethny? Eden: Unreal. The whole super power thing is pretty sweet. Who wouldn’t love to change forms or blow fire from their mouth! Maiya: I remember you upset because didn’t know if you could handle the pressure of your powers little one. Eden: Okay, that’s true. I am still learning all the things I can do, and does get overwhelming, but all in all, I am grateful I have them. Question Four: Koren and Maiya, how do you feel being tied to Gregor and Eden? Koren: Gregor is a good friend of ours, and we love Eden just as much. It is an honor to walk with them on this journey. Maiya: We would not have it any other way. We are blessed to be part of their lives for as long as the spirits will allow us. Question Four: Lex and Val, what did you think when you realized Eden’s destiny? Valora: I was beside myself. I saw what Circenn was capable of when Eden was an infant, I didn’t want her to have to go back to that as an adult. Lex: It was terrifying. Eden is precious to us and there is nothing that we want more than to see her live a normal life. That apparently, is not in the cards anymore. Eden: I know they were upset, and sometimes I see the worry on their faces, but they have raised me very well and I know with their help, I can do anything. Question Five: Have you picked a name for the baby yet? Gregor: Yes we have, but we can’t reveal it. We want it to be a surprise. Question Six: What do you see for the future of Ellethny and your roles in the future? Eden: I hope that we can restore the light back to the world. My want is that I can save the people in Ellethny and live a happy life with my family. Reality tells me that we can’t make any assumptions and all we can do is hope for the best. Gregor: We will succeed. There is no other course of action but to prevail. Koren: Gregor is right, we shall overcome and survive. Thanks D.M. Sears for the great questions, I hope we have answered them to your liking. I must be going now, super heroes never rest! Just kidding, although if I don’t go help them fight off the shadows, they could get very angry with me. TTYL!! or bothered me, not until recently. Dreams of odd goings on haunted me now. Distant images of a gray sky, purple mountains, and mostly, of these too white blank pair of eyes. Those dreams cause my mark to burn savagely leaving me with a feeling of unsettledness. I lay in my bed hoping to get a grip on reality as I heard footsteps coming from the hallway. The clock on my nightstand read 2:30 am. Ugh, another night of waking up my guardians. Poor Lex and Val. Every night that a dream troubled me, they came to comfort me. So many sleepless nights they have had all because I am a freak with nightmares. Tucking my arm under my cover, I sat up in bed waiting for them to burst in. The large oak door opened as my faithful guardians rushed into the room, worried expressions plagued their faces. “Eden, are you all right?” Val threw her arms around my shoulders pulling me into her warm embrace. Her cracking voice gave a hint that tears were not far behind. So sleep deprived. Val’s rich brown eyes lacked luster where once they looked like shiny pebbles from a creek bed. Her peaches and cream complexion was pale, pasty, marred with dark circles. The worst part was her hair. Val’s long copper tresses looked colorless and ill treated. I remember wanting to touch the strands all the time. I would wrap my fingers in her natural curls and watch her hair dance as it fell down her back. Taking her in now, the sadness had become so apparent. I was responsible for this whole mess. “Same dream again. Sorry for getting you both up. I just don’t understand why these dreams keep coming back.” I stared at Lex; his face was shadowed with concern. Lexington, much like Valora, was also a ghost of his once youthful self. He had perfect blonde hair, deep-set aqua eyes, and always carried a smile. Now, he looked weary, sad, almost guilty yet sympathetic to my night terrors. Not much to smile about anymore, for any of us. “You have nothing to be sorry for.” Lex patted my shoulder and I took some solace in his soft voice. “We love you and want to help. If coming in here and sitting with you through these nightmares is all we can do, then, we will, for as long as we can.” His smile never reached the corners of his mouth. Val stood behind him, gazing at her husband with sweet appreciation. “Let’s go downstairs and I will make us some tea. There’s a new recipe I want to try. Made correctly, should induce sleep. Sound good?”Her playful smirk gave way to my grin. I always smiled when she had new recipes to try on us. “Who doesn’t love being a guinea pig?” I gave a short laugh trying to release the heavy. “That’s our girl!” Lex beamed at me. Val winked at the two of us and strolled out of the room. Lex gave his signature smile-nod combo and followed behind. I pushed the covers off once they had gone. A faded pink birthmark replaced the red inflamed skin that throbbed just moments ago. I pulled my sleeve back in place to cover it, removing it from sight. I needed a minute to get myself under control; I watched the small particles of dust float around in the air. “Come on feet, time to get moving.” I sat up on the corner of my bed, my feet found my slippers and I walked into my bathroom. The faucet was arched spitting the cold water into the bowl sink. I filled my hands, splashing my face several times enjoying the serenity it gave me. At this point, I would try anything to clear my head. Too many days had come and gone where I was mentally useless. My thoughts hung up on my dreams or weird feelings I was having. Now that my birthmark was coming alive, it added to my already struggle-some life. The fluffy towel dried my now cooled face and I took the chance to look at myself in the mirror. A worn image of a youthful girl stared back at me. The girl in the mirror looked exhausted, run down from nightly thrashing and screaming. Lifeless auburn hair, pin straight, hung over her shoulders. The girl’s large hazel eyes, dull and bloodshot from endless nightmares, had lost their charm. Exotic, warm, glowing, people said these things about her face. All I could see was a face that had lost its vitality. There was no point in trying to look nice, have a boyfriend, or friends in general. “Eden nothing is going to help the hot mess that is you.” Talking to myself seemed to be my favorite past time. I pulled my hair back and walked out of the room. The familiar pictures on the walls comforted me. I had seen these photos for the past seventeen years of my life, each one displaying scenes of my guardians and me. Lex and Val, the only real family I had, but somewhere inside of me there had to be more to my life I had yet to discover; about myself and my past. My guardians told me I came to live with them as a baby. Fragmented, blurry images were all I could ever remember of my early childhood. Anytime the subject was broached, they shut it down… immediately. For some reason that particular topic was a sore spot. I hoped in time they would tell me on their own, but that came to no avail. Avoidance became the routine. Now, with these super creepy dreams coming at me every night, something had to be done. My gut told me the dreams and my past was interconnected somehow. My ears picked up the hushed sounds of my guardians in the kitchen. Even though eavesdropping was wrong, I tipped toed to the door straining to hear their conversation. Watching through the crack in the door, Lex walked over and wrapped his arms around Val. Her eyes followed the reflections in the glass before them. “Don’t cry Valora, Eden has a great destiny, one she will need guidance to fulfill, it is our job to prepare her, no matter what.” Tenderness and sincerity backed each syllable he uttered. I stood dumbstruck for a brief moment. What did Val mean…her family had died and what danger had she come from? Confusion filled my thoughts. I pushed the door open causing it to hit the wall loudly. “What journey, what am I being prepared for? I think you all need to fill me in on some things.” Curiosity killed the cat they say, I say…meow. Anxiousness overwhelmed me. Trepidation claimed me over what they were going to say. Seventeen years was a long time to keep something quiet, my guess, it wasn’t going to be good news. “Perhaps we should go sit and talk. The tea is almost ready, I will be with you in a few moments. 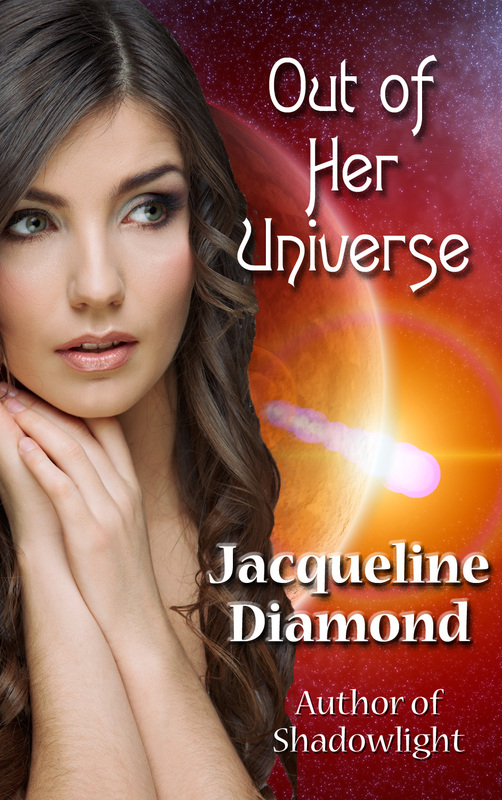 Val’s whispering voice was barely audible. Lex gestured towards the door, I followed working out the questions I wanted to ask and hoping I vomit from nervousness. Lex sat in his usual spot on the worn leather sofa, its matching chair and ottoman sat near the fireplace, my favorite seat in the house. Warm, inviting, I could sit in that chair and read for hours. On more than one occasion, Lex or Valora would find me asleep with a book open in my lap. They would cover me up and leave me. I would eventually wake up minus one book and plus one blanket. Slight warmth, like bath water, flowed from the eclipsed shape mark on my wrist relaxing my tense somewhat. Semi-relaxed, Val brought me a cup of her tea; I smelled it to see if I could figure out what she had put in it. My guardian has always had this thing with herbs, flowers, and spices. She has a gift, to say the least. Val can combine different herbs and plants into food and drink to help others. She has a small home based business and supplies such remedies to those who can afford it. Tonight her tea smelled of jasmine, lavender, and one other fragrance that stumped me. I took a sip of the heated brown liquid, delicious. It had a strong bitter taste at first, but soon melted away to a sweet floral, honey-like after taste. I felt the tea slide down my throat and warm me from the inside. Relaxation hit immediately. Val knew what she was doing. “I don’t want to be rude, and I am sorry for listening in on you two, but what do I need to be prepared for?” My gaze flitted between the both of them seated side by side on the leather sofa. They were holding hands, staring at each other; Val had tears in her eyes. Lex was ready to speak when Val put a hand up in front of him. “Wait, I should be the one to tell her, after all, she is my niece.” Niece…when did that happen? My insides rolled. “What? I thought you said you were friends with my mom?” I know I looked stunned, I felt stunned. Author Bio: D.M. Sears lives in the heart of the mid-west with her daughter, Larissa Eden, and a crazy cat named Cindy Lou Hou. During the day she is a director for an early childhood center and at night, takes care of her daughter and bakes gourmet cupcakes. 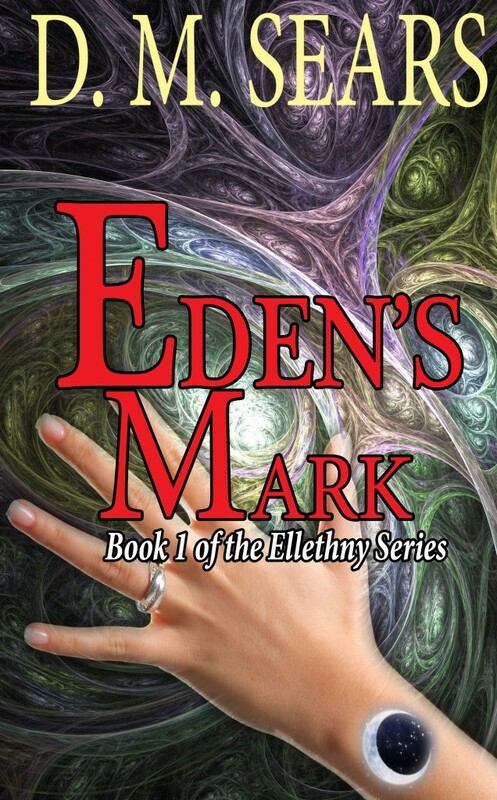 Eden’s Mark is her first publication from Solstice Publishing. She is currently working on Eden’s Darkness which will be published in 2014 along with a new series The Order of Amite. Magic sends her back through time…to the rogue she’s trying to avoid! On the verge of a divorce, Jana Edwards wishes she could go back six years, before she met the stranger she impulsively married, and respond to the online profile of a farmer who sounded like an ideal husband and father. To her astonishment, her heirloom pendant grants her wish…but the “perfect” man turns out to be the same rogue, using another name and involved in a shady project. Jana knows Drake Edwards—intimately—but he has no idea who she is. And no matter how hard she wishes, her pendant refuses to send her home to the future. Could it be trying to tell her something? She has no idea she was born in another universe. Strange perceptions trouble artist Hannah Fleischer, but she’s found happiness in her engagement to a police detective. She has no idea that she was brought to California as a child from a parallel world where history has taken a dangerously different course. Then the link between the two universes reactivates unexpectedly. While a secret security team struggles to prevent an intruder from carrying out a deadly agenda, cascading events thrust Hannah, unprepared, into the center of a crisis that could destroy both her worlds. Okay, nobody’s asked that question in so many words, but I see it on many faces when I admit that, although better known for my Regency and contemporary medical romances, I’ve also written a time travel romance (One Husband Too Many), an unusual science fiction novel (Out of Her Universe), plus a fantasy (Shadowlight), a horror novel (Echoes) and a Gothic romantic suspense with a ghost (Touch Me in the Dark). Isn’t true life, with its tangled emotions and joyous discoveries, enough to challenge an author? Sometimes, sure. I enjoy finding new twists on secret babies, egg donors and multiple pregnancies in my long-running Safe Harbor Medical series for Harlequin American Romance (book 12, The Surprise Holiday Dad, comes out in January). But when I was a child, my favorite stories involved kids like me who dropped into a fantasy setting or discovered fantastical friends in the real world. Maybe you too enjoyed David and the Phoenix or The Shy Stegosaurus of Cricket Creek, plus of course the Narnia series. So it’s not surprising that every now and then an otherworldly idea pops into my head and refuses to go away. I love seeing people and events through the eyes of someone who doesn’t quite fit. It’s also great fun to drop my characters into situations they aren’t prepared for—can’t possibly be prepared for—and watch how they figure things out, react and grow. During my early years as a novelist (I sold my first novel, Lady in Disguise, thirty years ago), genres such as science fiction and fantasy were clearly defined, with little room for crossover. Paranormal romances with shapeshifters and vampires, when anyone dared to write one, received nearly automatic rejections from publishers. Even time travel, with its deep roots going back to H.G. Wells and Mark Twain, rarely saw print until the 1991 success of Diana Gabaldon’s Outlander. Then mainstream editors began taking a chance. 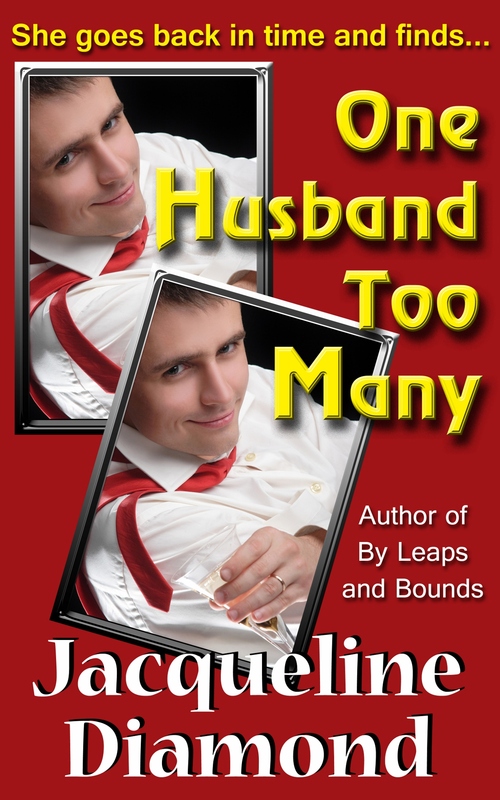 One Husband Too Many, in which a six-year trip into the past reveals how little the heroine knows the man she’s about to divorce, was published by Harlequin in 1996. I recently updated and revised it for release as an ebook. Now the dam has burst, allowing readers as well as writers to expand their horizons. When a book is so unusual it still can’t find a home, the author can self-publish, as I did with Out of Her Universe, which is my favorite of all my books. The story of parallel worlds in which history diverged eighty years ago and where most of us and our loved ones have a “twin,” it stretched my creativity and provided dramatic opportunities outside the usual reaches of fiction (imagine a world in which the Holocaust never happened, but it’s about to). It’s the book I kept haunting bookstores looking for and never found, so I wrote it myself. Love, loss, dreams, the depths of terror and the heights of courage pull us out of our everyday existence and into a higher realm. That’s why fiction of all genres touches our hearts, speaking truths that transcend the mundane. Authors find these truths at a subconscious level that defies explanation. So what’s a down-to-earth girl like me doing in a genre like this? Nurturing the creative spark that inspired me to write novels in the first place. 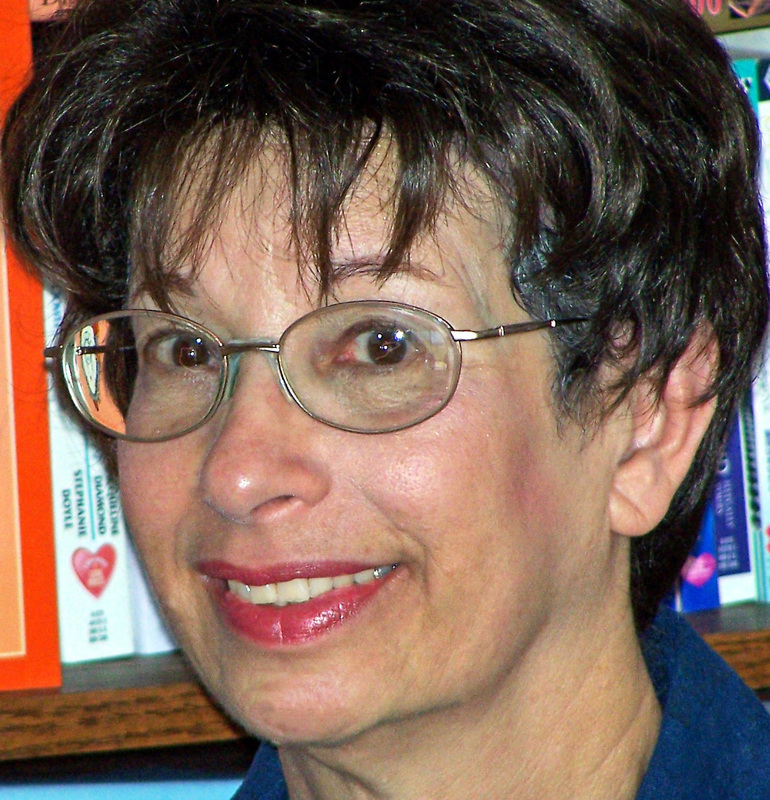 Jacqueline Diamond has published more than 95 novels, including romantic comedy, romantic suspense, fantasy, mystery, Regency romance and science fiction. A two-time finalist for the Rita Award, Jackie received a Career Achievement Award from Romantic Times and is a former reporter and TV columnist for the Associated Press. Jackie also writes the Safe Harbor Medical miniseries for Harlequin American Romance. 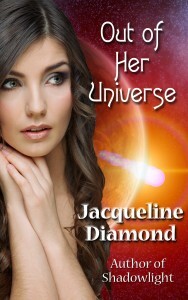 Visit her at jacquelinediamond.com, or on Facebook at JacquelineDiamondAuthor. At Twitter, she’s @Jacquediamond. Last day to enter the contest to win free books! www.solsticepublishing.com and leave a comment on the interview below!